YOQNEAM, Israel - July 10, 2013 - PRLog -- TV is an award winning (2005-2013) freeware application for Windows®. Users in the United States and around the world can watch over 1300 US and International television channels. This free program runs TV on any Windows® based high-speed Internet device. It is easy to use and navigate without special settings or configurations. The 2013 TV Version 4.0 (2013) is free and available for download on the tvexe.com website. 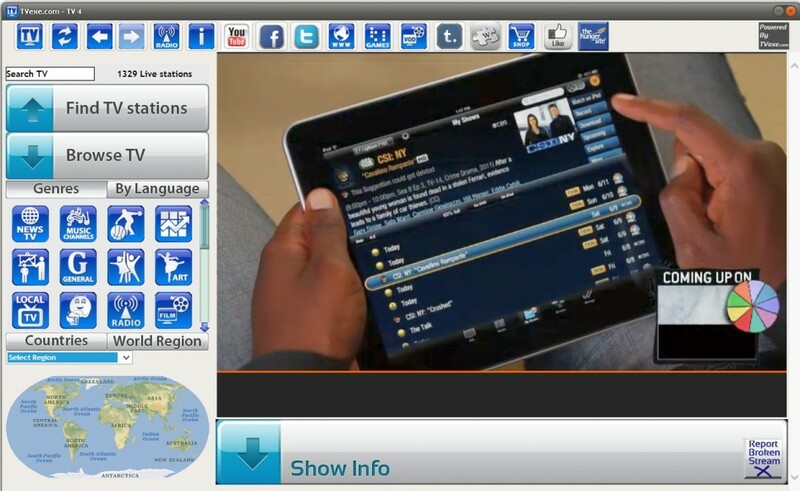 TV Version 4.0 offers news, music, education, sports, kids, tech, and shopping channels, and programming in multiple languages. 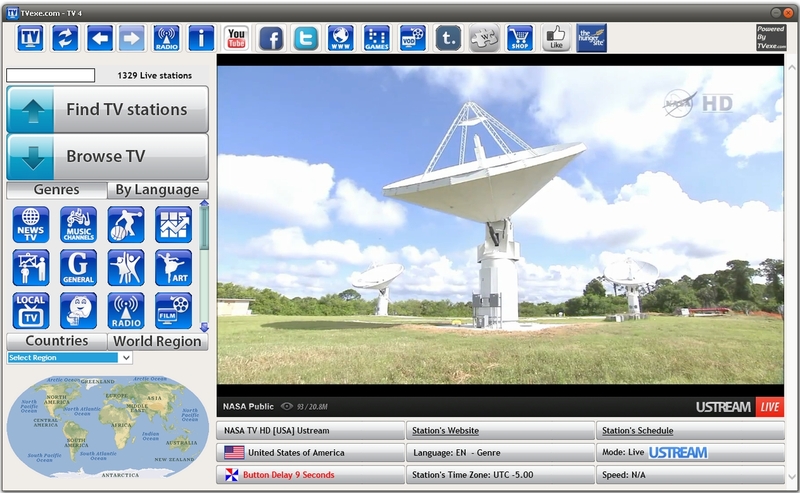 Viewers see live programs from the United States and over 120 countries in 24 global time zones, with this application. Round-the-clock music stations feature music videos in English, Spanish, German, French, Italian, Russian, Turkish, and more. The broadband high-speed Internet connection of the user replaces the traditional antenna, dish, or cable feed. Television streams live online programs 24 hours a day in Windows Media® and Flash® formats. The freeware download is compatible with any broadband Internet Service Provider (ISP) in the United States and around the world. 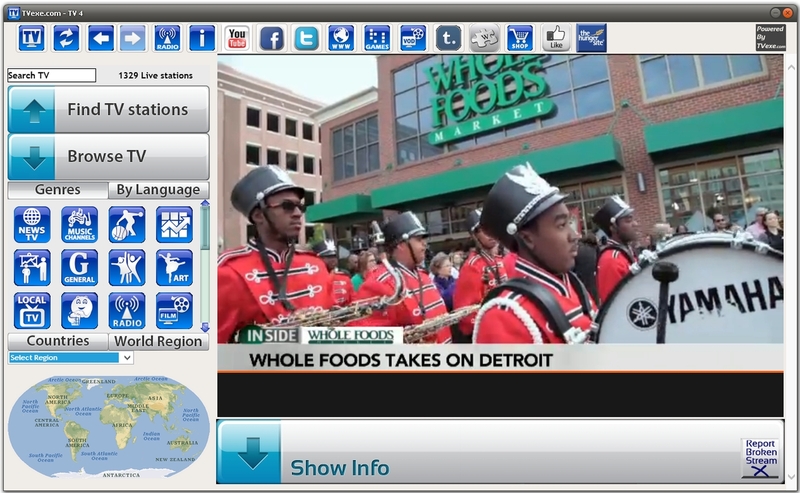 Watching live TV from around the world gives viewers insight into the lifestyles, language, worldviews, and news. Newly added channels are uploaded automatically to the online channel guide. 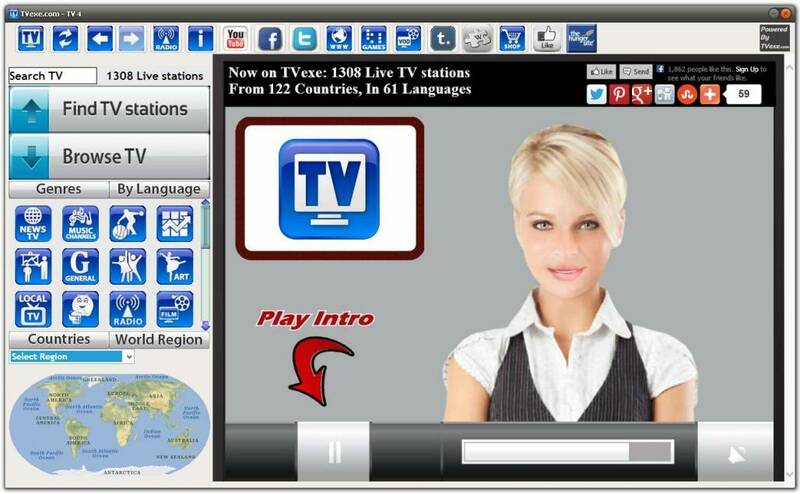 New in TV Version 4, 1000's of Radio stations, play online games, visit social networks and much more. Viewers only need to download the free TV Version 4.0 software, tune to their channel of choice, and enjoy the show! TVexe.com, an international broadband online television provider, offers award-winning Windows® freeware applications for viewing global television by broadband Internet.